The year is 1739. Eliza Lucas is sixteen years old when her father leaves her in charge of their family's three plantations in rural South Carolina and then proceeds to bleed the estates dry in pursuit of his military ambitions. Tensions with the British, and with the Spanish in Florida, just a short way down the coast, are rising, and slaves are becoming restless. Her mother wants nothing more than for their South Carolina endeavor to fail so they can go back to England. 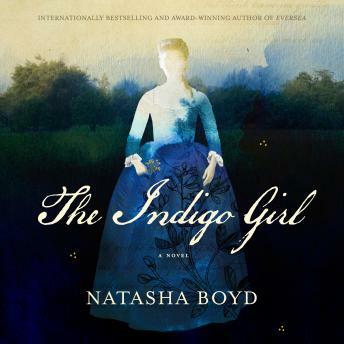 Soon their family is in danger of losing everything.Hearing how much the French pay for indigo dye, Eliza believes it's the key to their salvation. But everyone tells her it's impossible, and no one will share the secret to making it. Thwarted at nearly every turn, even by her own family, Eliza finds her only allies in an aging horticulturalist, an older gentleman lawyer, and a slave with whom she strikes a dangerous deal: teach her the intricate, thousand-year-old secret process of making indigo dye, and in return-against the laws of the day-she will teach the slaves to read.So begins an incredible story of dangerous and hidden friendships, ambition, betrayal, and sacrifice.Based on historical documents and Eliza Lucas' own letters, this is a historical fiction account of how young Eliza Lucas produced indigo dye, which became one of South Carolina's largest exports, an export that laid the foundation for the incredible wealth of the South. Although largely overlooked by historians, the accomplishments of Eliza Lucas influenced the course of US history. When she passed away in 1793, President George Washington, at his own request, served as a pallbearer at her funeral.This book is set between the years 1739 and 1744, with romance, intrigue, forbidden friendships, and political and financial threats weaving together the story of a remarkable young woman whose actions were far ahead of their time. A SIBA Okra Pick. Deep South Magazine recommendation for fall. BookPage Top Pick for November 2017. A Barnes & Noble Pick of Staff Favorites for 2017. A 2018 Audie Award Finalist for Excellence in Design. Finalist for the Foreword Reviews INDIES Book of the Year Award. Long-listed for the 2017 Southern Book Prize. This was one of the first books I have listened to where at first—- I knew it was being “read”. The use of the First Person (“I said...”, “ I thought...”) was distracting. Somewhere in the middle, the narrator sounded more like she was performing this book rather than reading it. Anyway, the topic was interesting. I did cheat and look up Eliza Lucas Pinckney before I finished listening which did not ruin the book. Amazing book about a strong, smart young lady!! Also my favorite narrator! !